Gemalto, a leader in digital security, has partnered with Vietnam’s largest system integrator to deploy the country’s first EMV-compliant cards for Vietnam Joint-Stock Commercial Bank for Private enterprises. 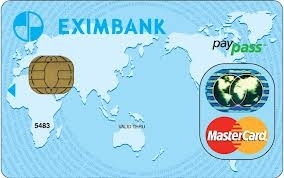 The project involves 24/7 support, training and delivery of the EMV cards. Amsterdam – Hanoi – Gemalto and Vietnam’s largest system integrator, FPT Information System, (FPT-IS) have partnered for the first EMV (Europay, MasterCard, Visa) deployment in Vietnam with Vietnam Joint-Stock Commercial Bank for Private Enterprises (VPBank). This collaboration meant that VPBank got its first EMV microprocessor cards issued within two months of the commissioning. This winning combination leverages on Gemalto’s leading worldwide expertise on practical EMV migration and expertise as well as FPT-IS’ dedicated local support and systems integration experience. Together, Gemalto and FPT-IS provide end-to-end services by developing a personalization solution tailored for VPBank’s needs, set up 24/7 support, provided consultation and training and deliver EMV microprocessor cards. The partnership between Gemalto and FPT-IS ensured that there was a solid teamwork to cover all aspects of the deployment, which is critical for such fast turn-around times.